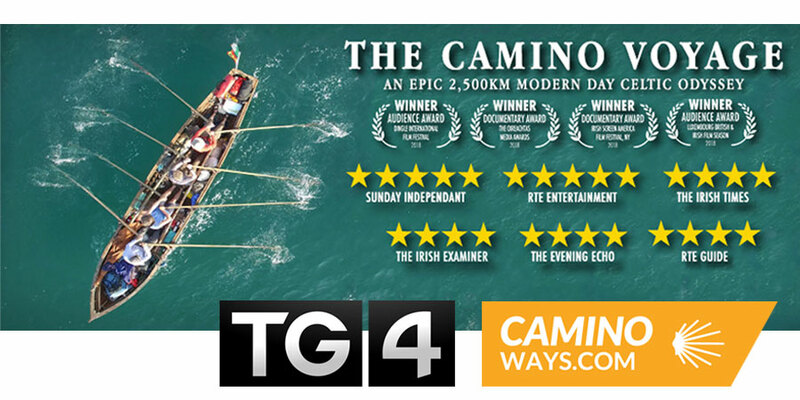 To celebrate the showing of extraordinary documentary The Camino Voyage on TG4 Easter Monday 2019 we are giving all TG4 Facebook fans a chance to win a trip walking the Celtic Camino from A Coruña to Santiago. TG4 viewers can also enjoy a special 10% discount on your next Camino trip with CaminoWays.com, just use code TG4CAMINOVOYAGE. The Camino Voyage, by Anu Productions, is a wonderful documentary following a group of friends on their epic journey to Santiago de Compostela. 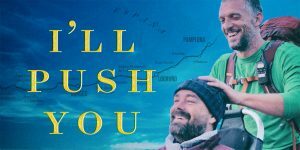 Rowing 2,500 kms across the sea from Ireland to France and then Northern Spain in their beloved Naomhog (Kerry Curragh) over three years, the movie will inspire you to find out for yourself why the Camino has attracted thousands of Irish pilgrims for centuries. Friendship, camaraderie and quite a bit of craic agus ceol are all part of the friends’ odissey as they head to Santiago. Medieval pilgrims from Ireland would traditionally travel by boat to Northern Spain where they would continue their Camino journey on foot from places such as the port city of A Coruña. Modern-day pilgrims can today walk 25kms in Ireland and continue their pilgrimage from this fantastic city to complete their trip and receive their ‘Compostela’ certificate, this is known as the Celtic Camino. 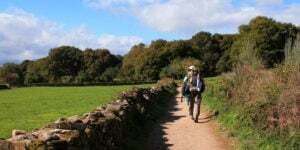 One lucky winner will have a chance to embark on a ‘Camino Voyage’ of his/her own thanks to CaminoWays.com and TG4. *T&C Apply. This fantastic prize includes a 7-night trip on the Celtic Camino for 2 people, staying two nights in the city of A Coruña, three nights on the trail and two nights in Santiago de Compostela. 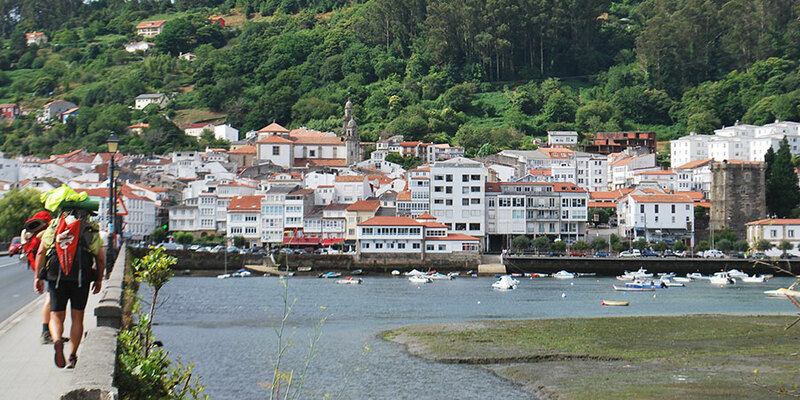 The lucky winners will also get a Camino-guided tour of A CORUÑA XACOBEA courtesy of A Coruña Turismo. Best of luck! 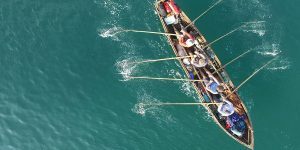 Ná caill Iomramh an Chamino Luan Cásca ar TG4, don’t miss The Camino Voyage Easter Monday on TG4! *Terms and Conditions Apply: Prize includes 7 nights accommodation for 2 people sharing on the Celtic Camino, luggage transfers and holiday pack with practical information. Prize can’t be exchanged for cash, sold or transferred. Travel dates are be subject to availability and prize is valid for 12 months. Winner must book and travel anytime by April 2020. Flights, insurance, lunch, dinners and transport are not included. The lucky winners will also get a Camino-themed guided tour of A CORUÑA XACOBEA courtesy of A Coruña Turismo. Additional services can be organised with CaminoWays.com. *Congratulations to Colleen Campbell, winner of this competition!